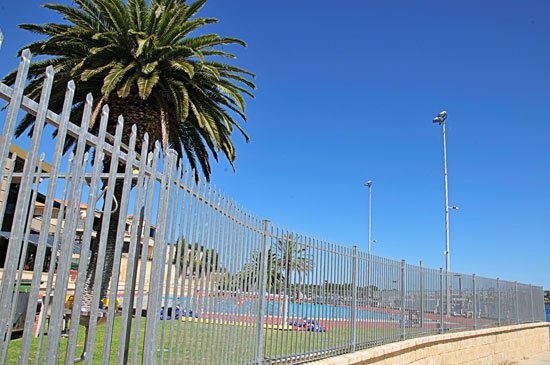 Exclusive to Fencemakers, Guardian security fencing is the ideal solution for businesses or security conscious individuals in Perth. 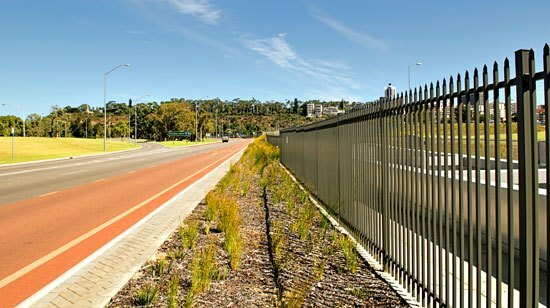 This heavy-duty security fence is suited to areas requiring something more substantial than the lighter, domestic styles. The square pickets are strong enough to prevent determined attempts of access through the fence, while the arrowhead shaped tops deter access over the top. 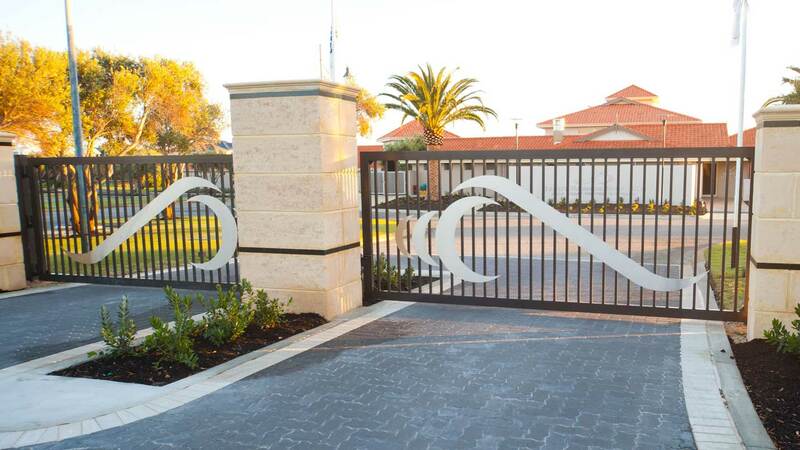 Fencemakers manufacture all of their Guardian security fences in Perth, and we assure our customers there will be no compromising when it comes to security and appearance, nor the standard of service we deliver. This is why we’ve become one of the most trusted security fencing contractors in Perth. Guardian security fences are ideal for industrial and commercial clients who require a tough and long-lasting barrier for their premises. The durable steel or aluminium pickets combined with the arrowhead tops provide a strong sense of security for families, businesses, individuals or those living in isolated areas. Our Guardian fencing range can be made to match our Security Gates for full perimeter protection. Whether your focus is on appearance, safety or convenience, Guardian security fences can provide you with endless benefits for both your home and business. Installing security fencing around your property is a great investment, adding resell value to your home or business. Security fencing gives you the peace of mind that the contents of your home, or your business stock and equipment is safe from thieves – adding a first line of defence for your premises. Our security fencing doesn’t just keep intruders out but also assures your pets, children or your employees are secure. Homes and business with visible security measures such as security fencing with gates and pin-pad or intercom access is a deterrent against thieves. Premises with these measures in place are less likely to be targeted by intruders. See our security fencing gallery below for an idea of the direction you would like to go with your project. 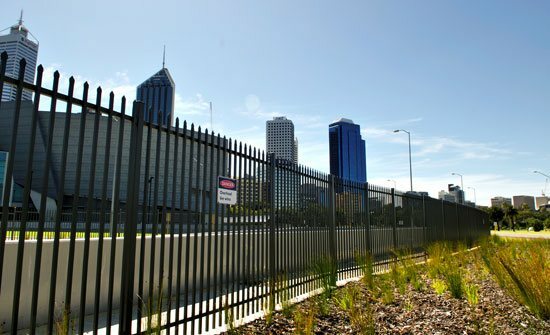 If you’re looking for a security fence for a Perth property or business, get in touch with our team about our Guardian range today.